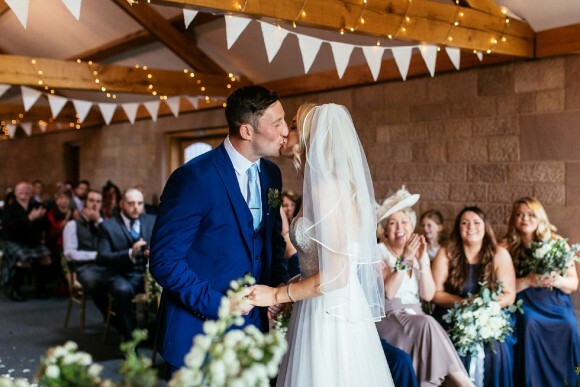 ‘I wanted everything to be fluffy, floaty and smelling gorgeous,’ states today’s bride, Stacey. 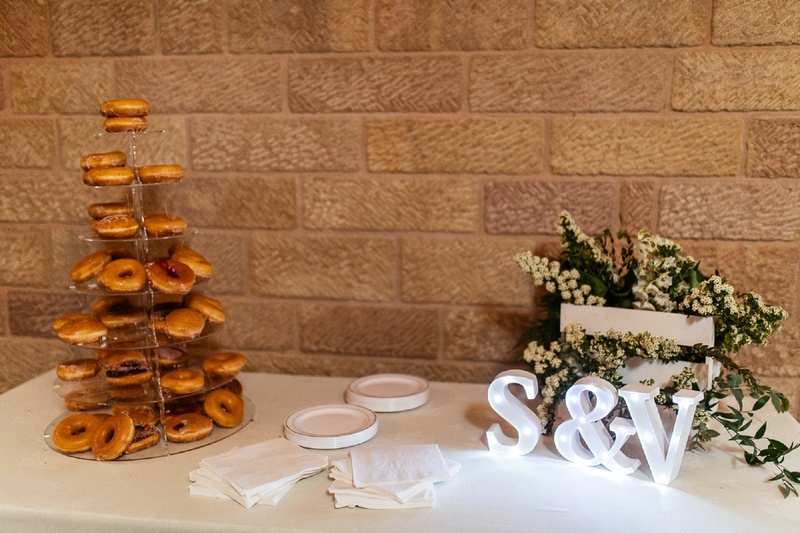 A combination that sounds utterly wonderful to us. 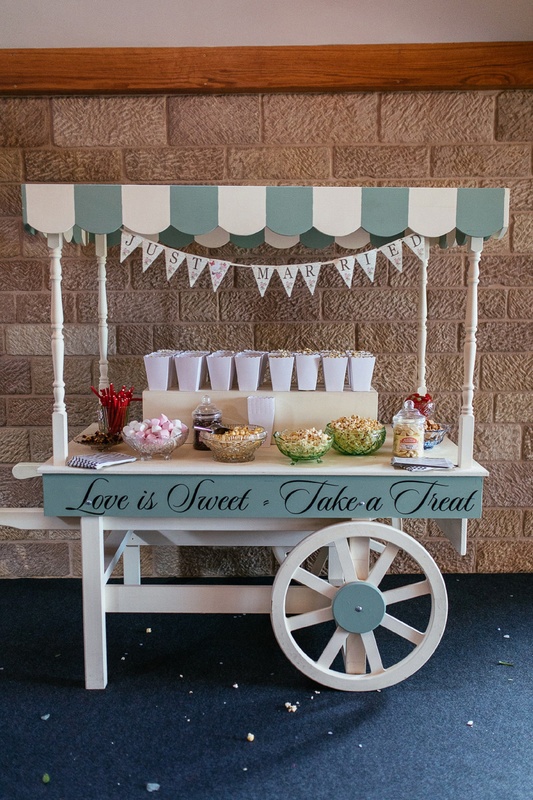 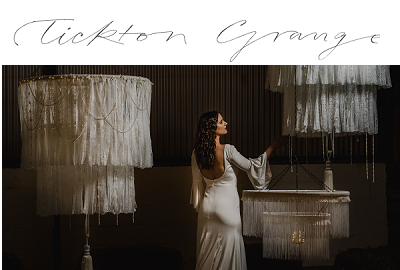 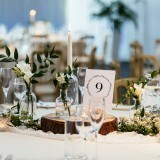 Who needs a wedding theme anyhow, when you have such a distinct vision for your big day? 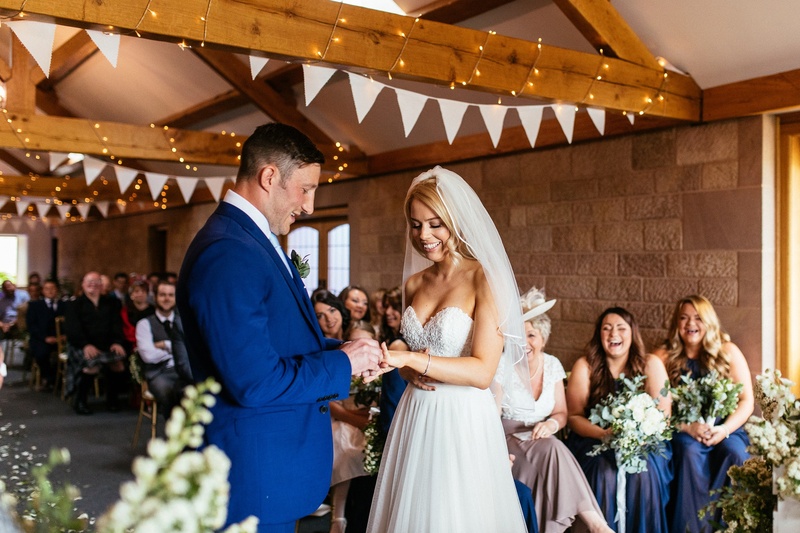 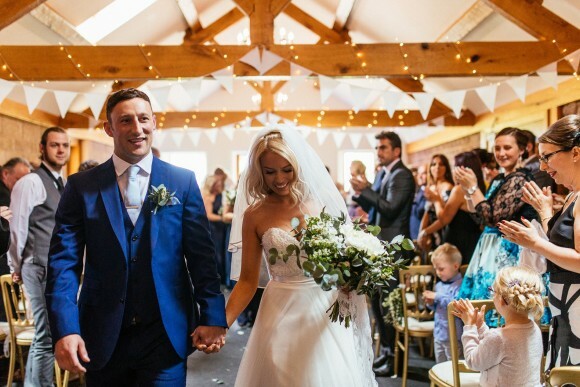 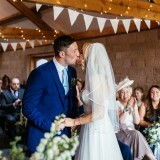 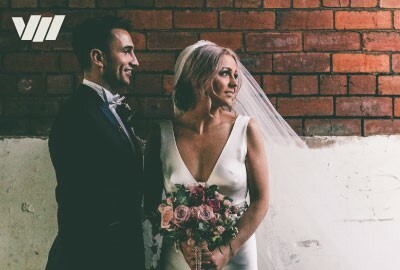 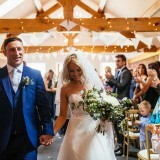 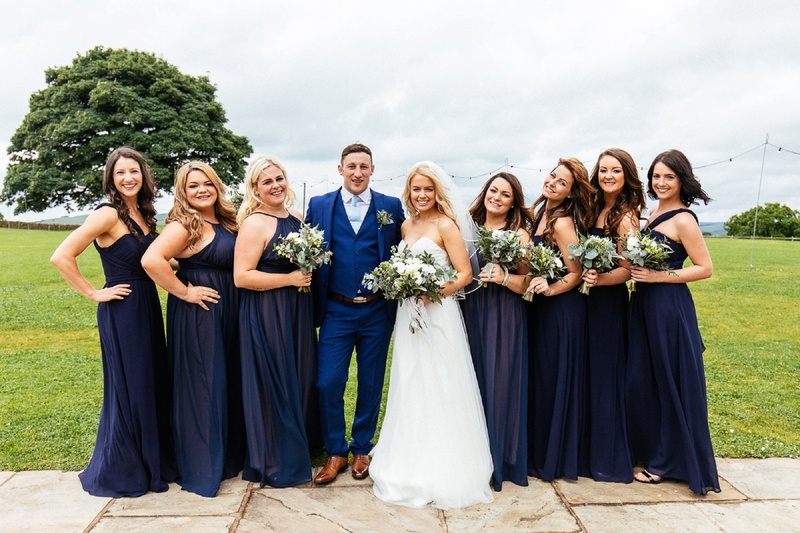 Tying the knot at the fabulous Heaton House Farm in May 2017, Stacey and Vinny were keen to host a springtime wedding and make the most of the stunning English countryside. 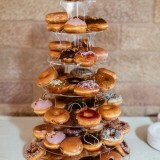 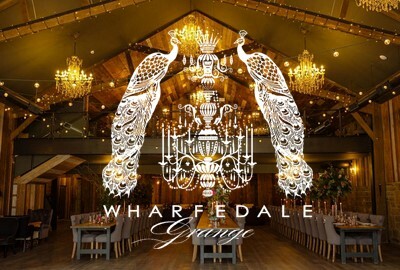 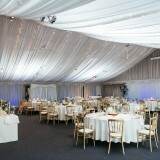 And the Cheshire-based venue, we think you’ll agree, more than fulfilled this brief! 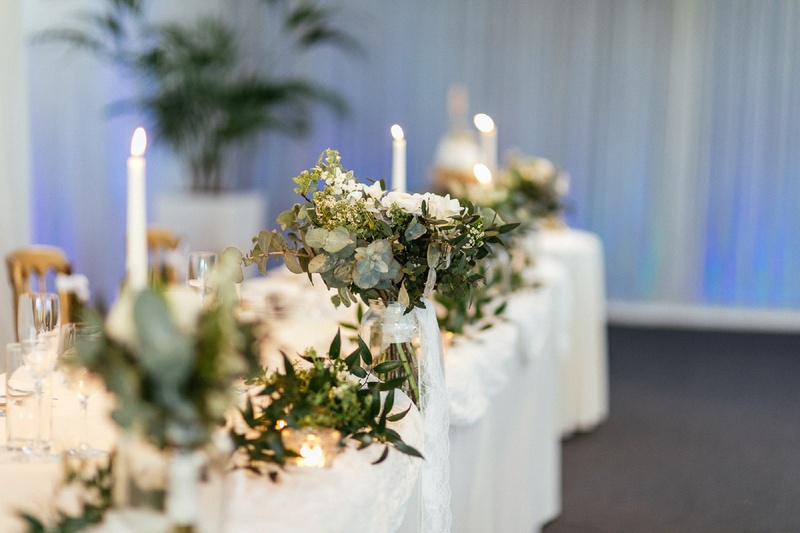 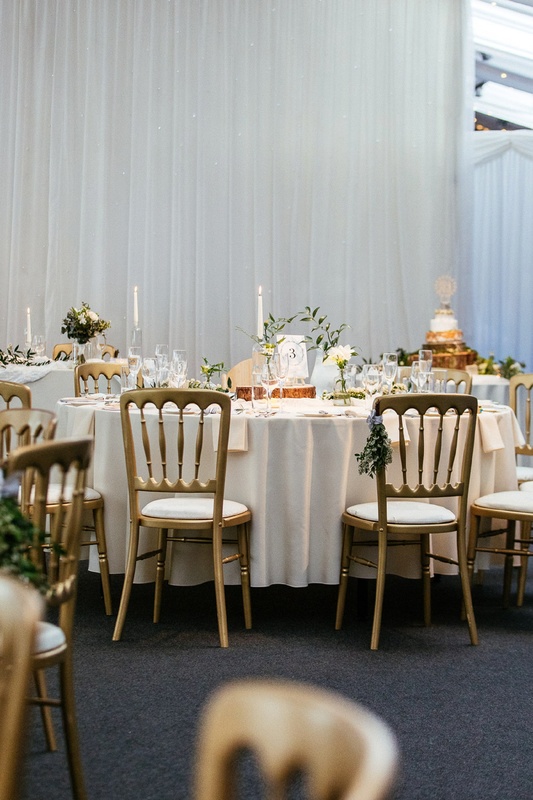 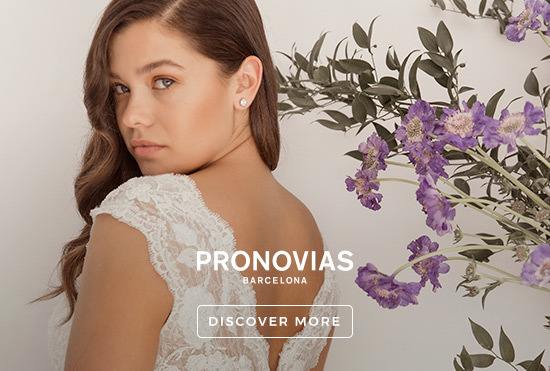 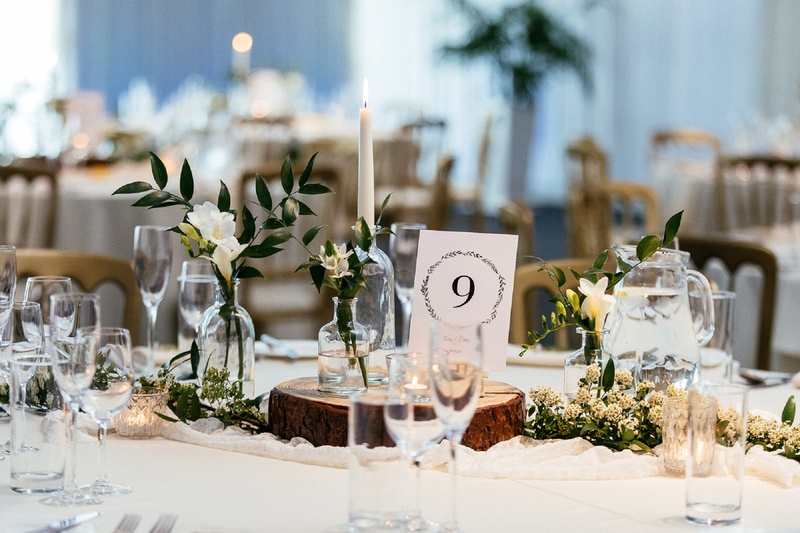 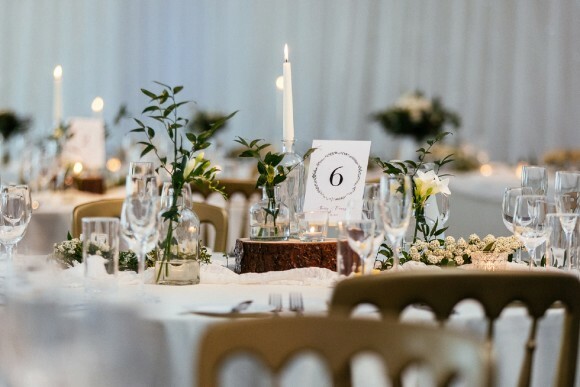 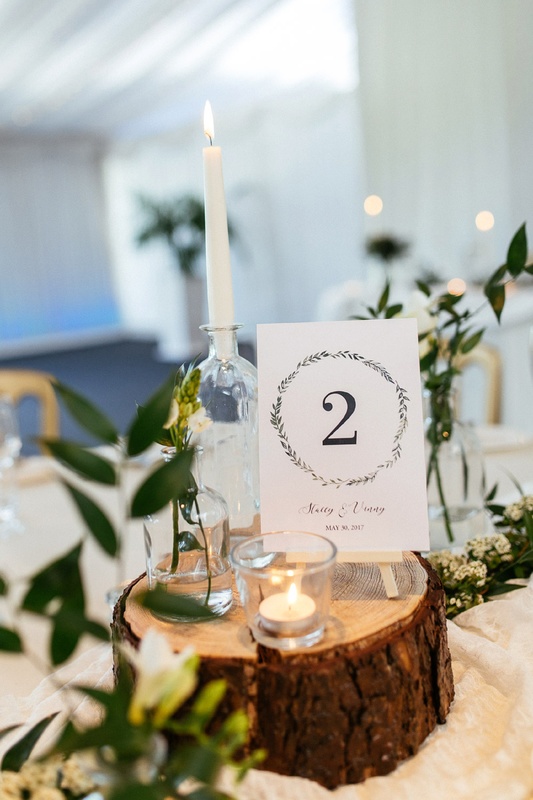 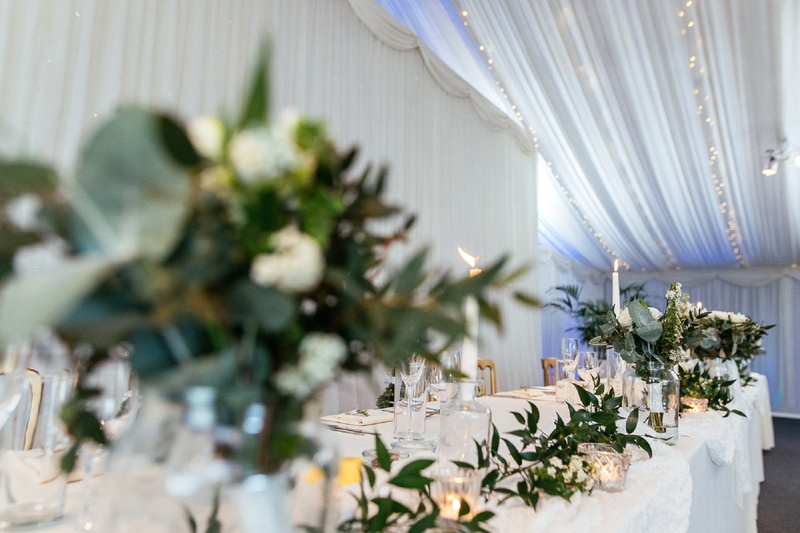 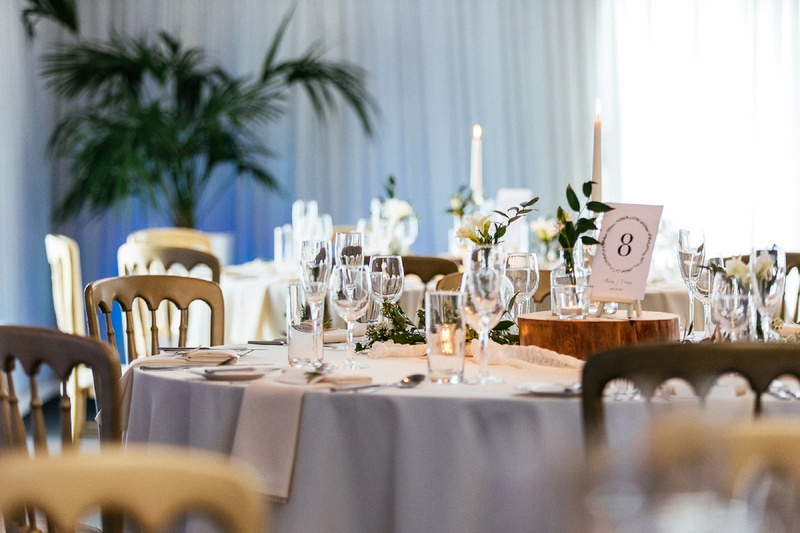 Greenery and white flowers with the scent of freesia and eucalyptus set the scene inside the venue, with the addition of candelabras, hanging crystals and sequin table runners transforming the space come nighttime. 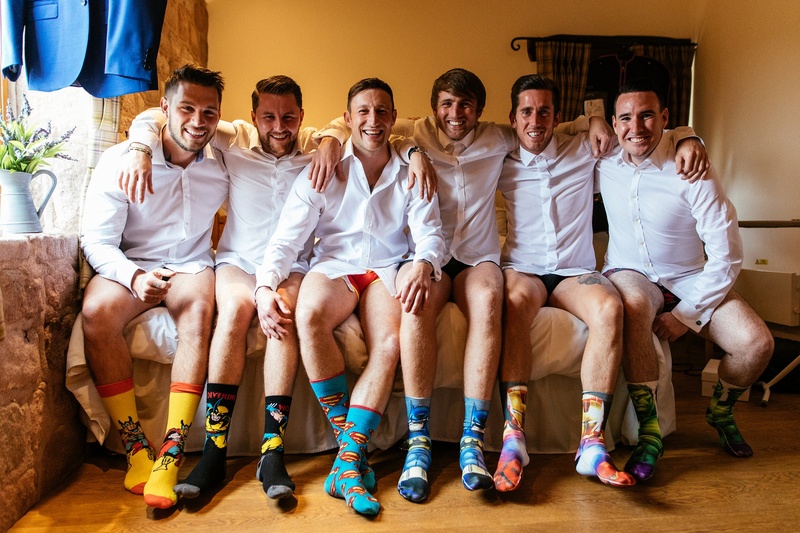 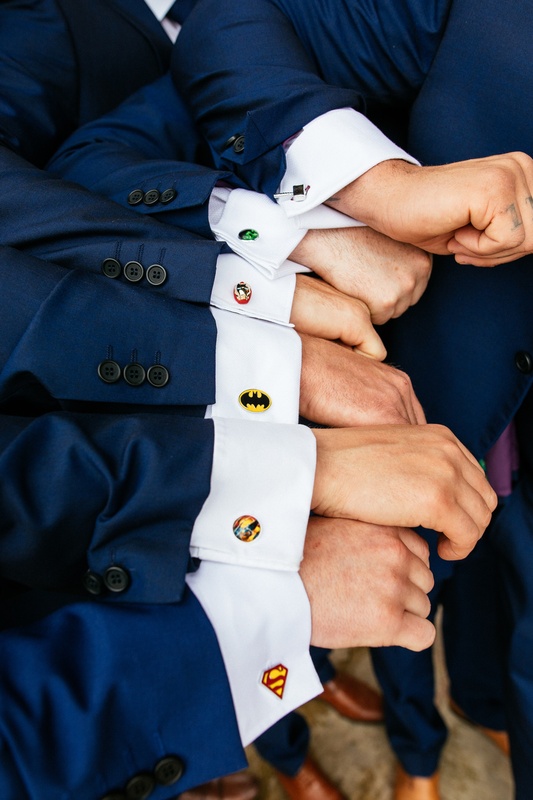 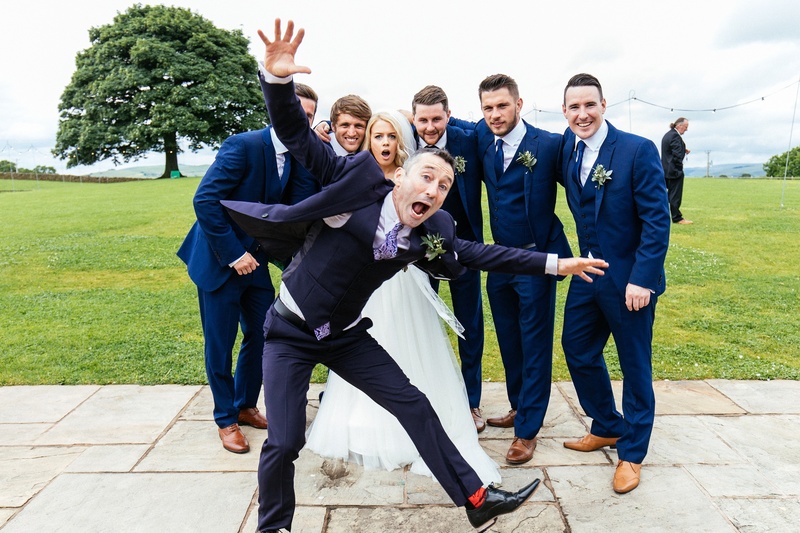 And something especially for the grooms up north – prepare for some of the most memorable groomsmen photos you’ll ever see, as the boys pay homage to their favourite superheroes on the day, too! stacey says: We got engaged during a trip to London in July 2015. 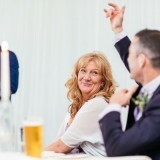 Vinny popped the question whilst we were having drinks in The Shard. 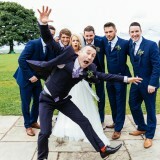 I didn’t have a clue it was about to happen and initially I thought it was a prank! 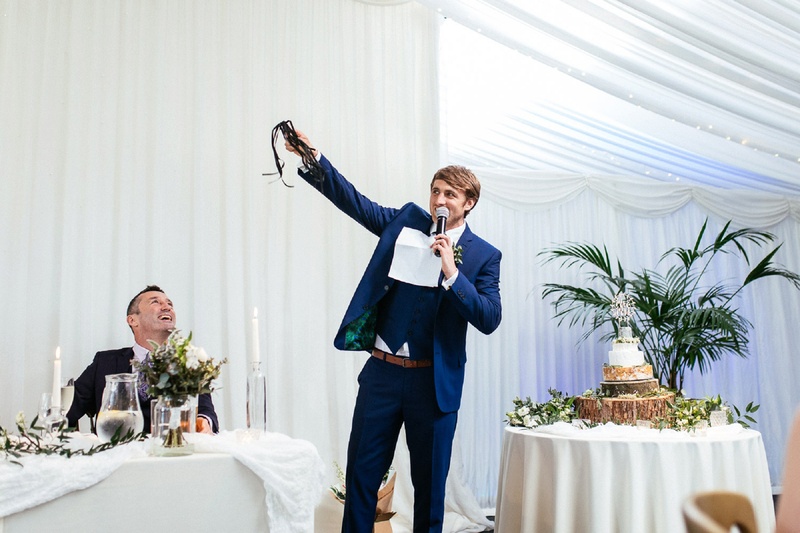 We spent the rest of the day celebrating with lots of fizz, ending it by seeing Ed Sheeran in concert at Wembley. 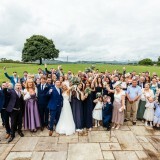 It was the best day ever! 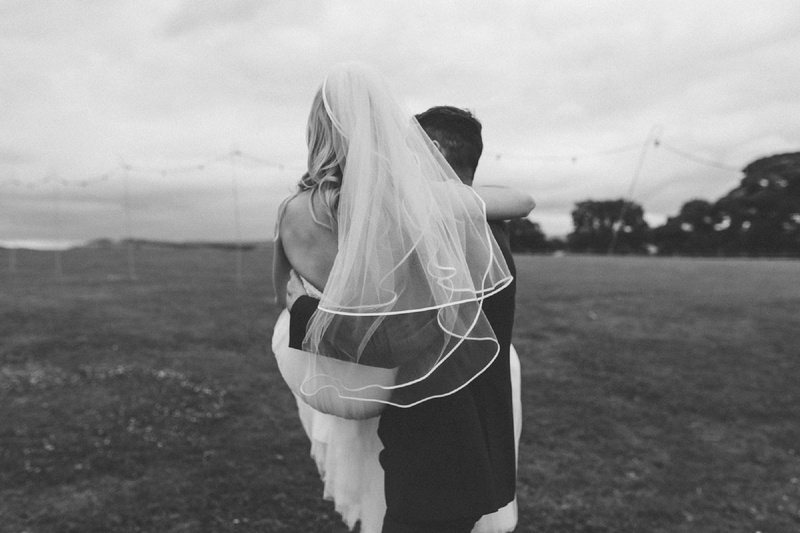 We chose 30th May 2017, as our wedding date mainly because I just don’t think you can beat a spring wedding in the English countryside. 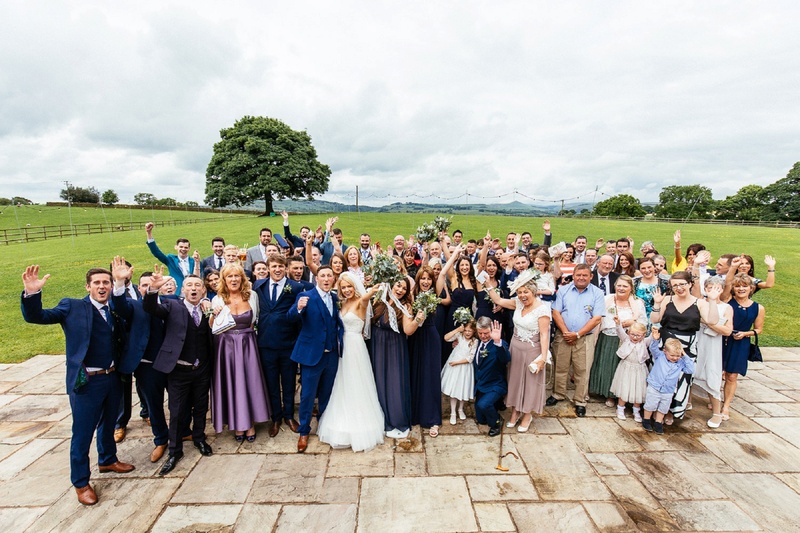 The extra-long bank holiday weekend for our guests was a bonus! 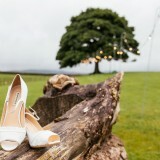 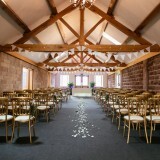 Our ceremony and reception were both held at Heaton House Farm, just outside of Macclesfield. 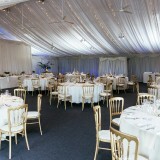 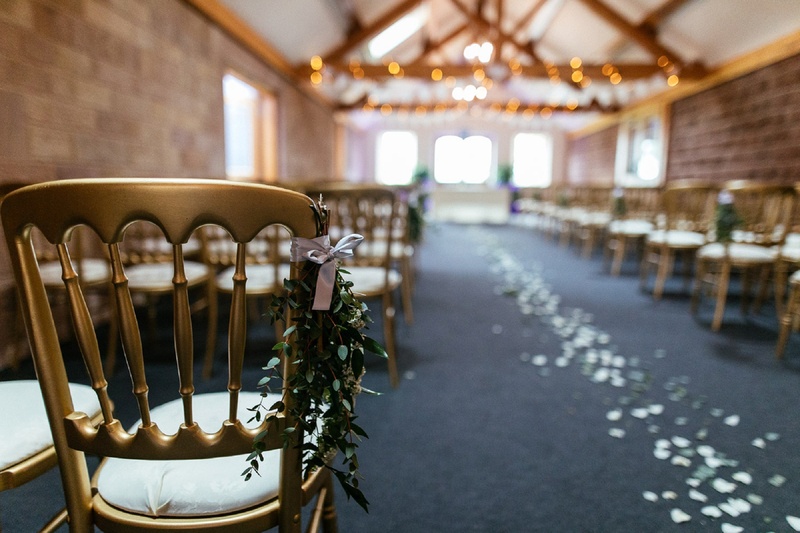 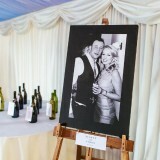 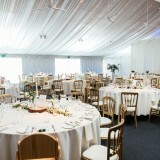 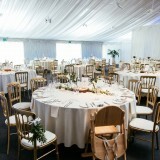 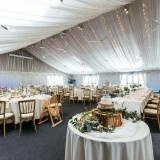 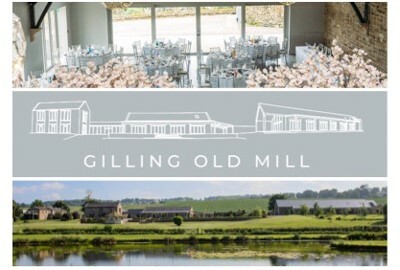 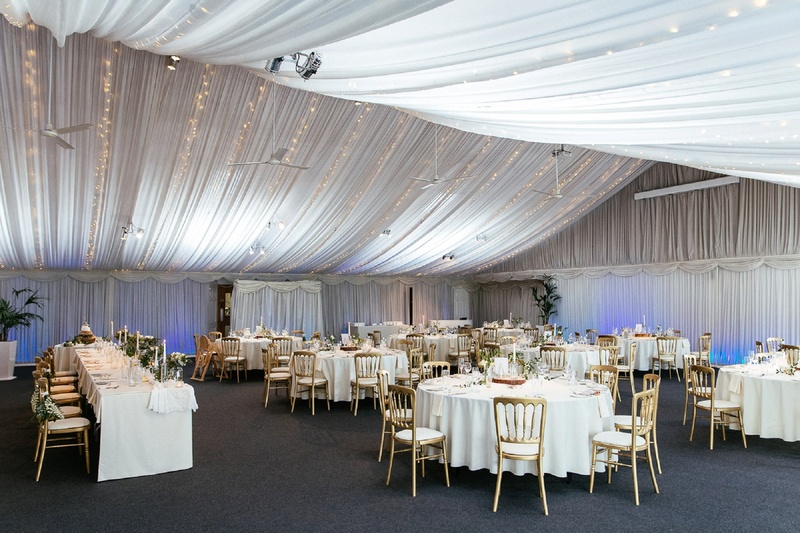 It was the only venue we looked at and we fell in love with it as soon as we walked into the oak beamed entrance barn. 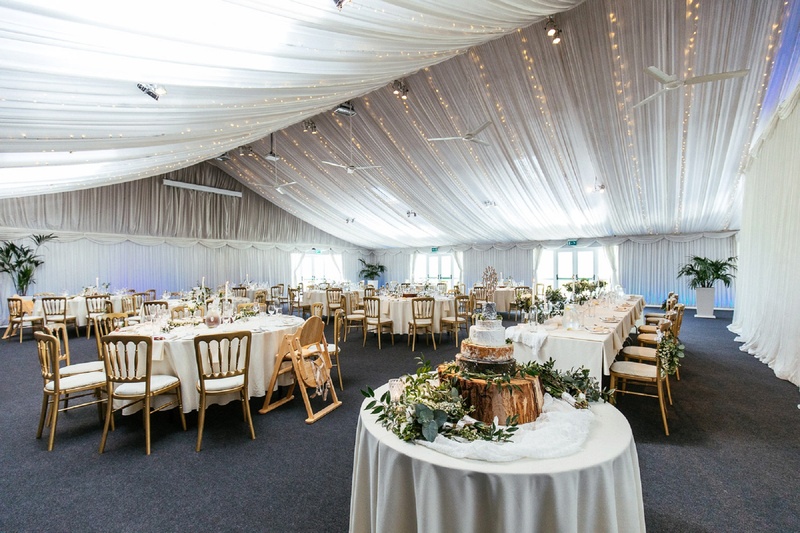 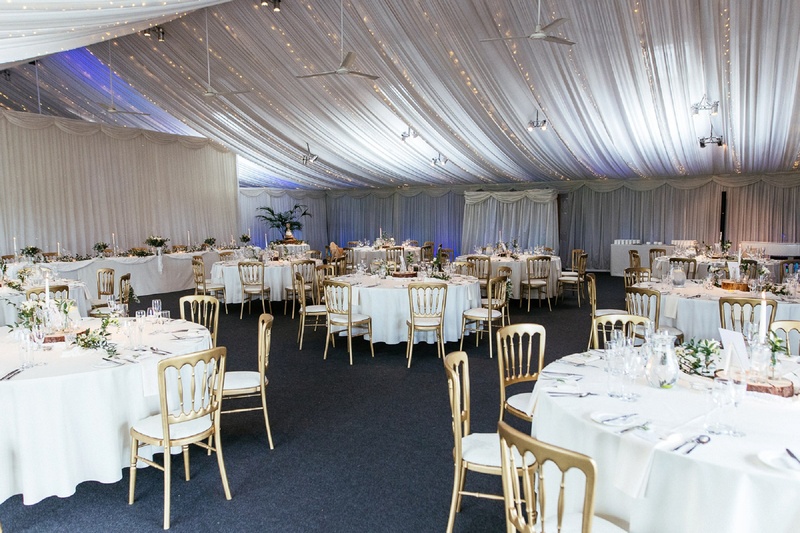 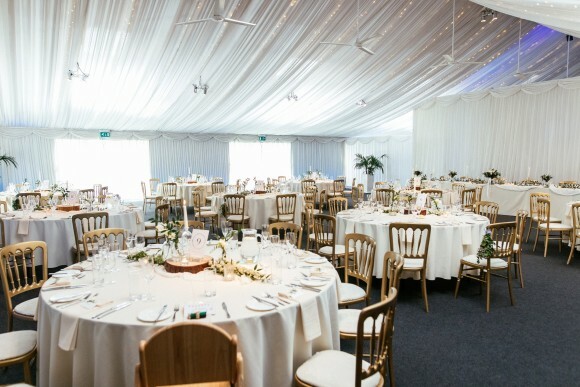 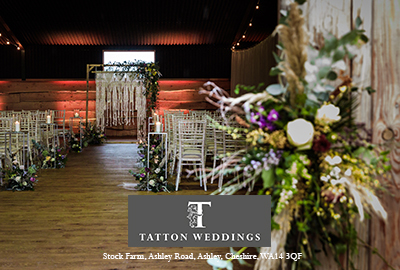 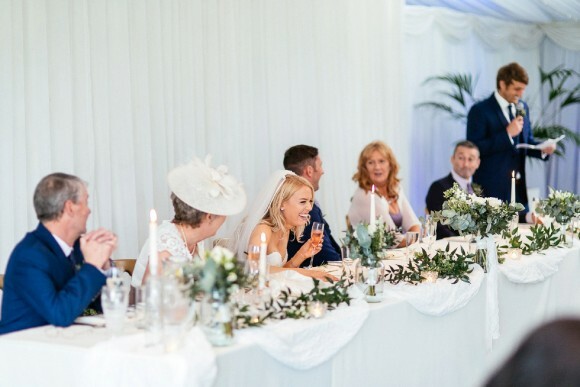 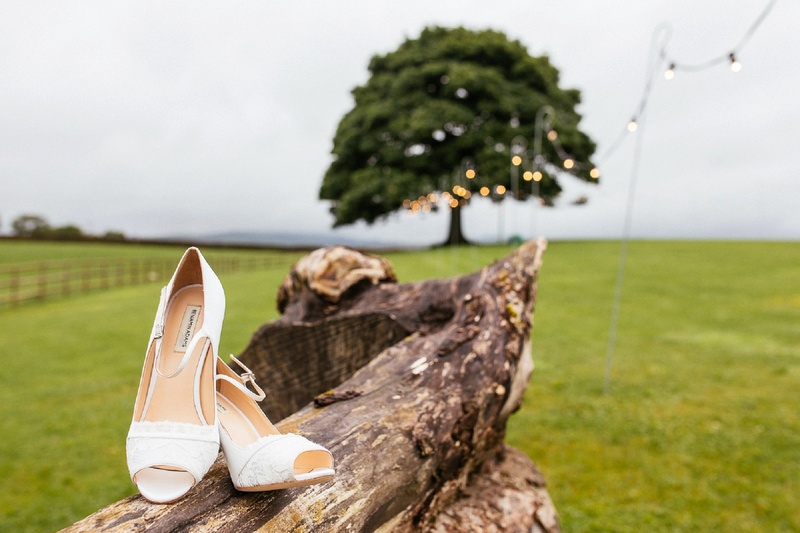 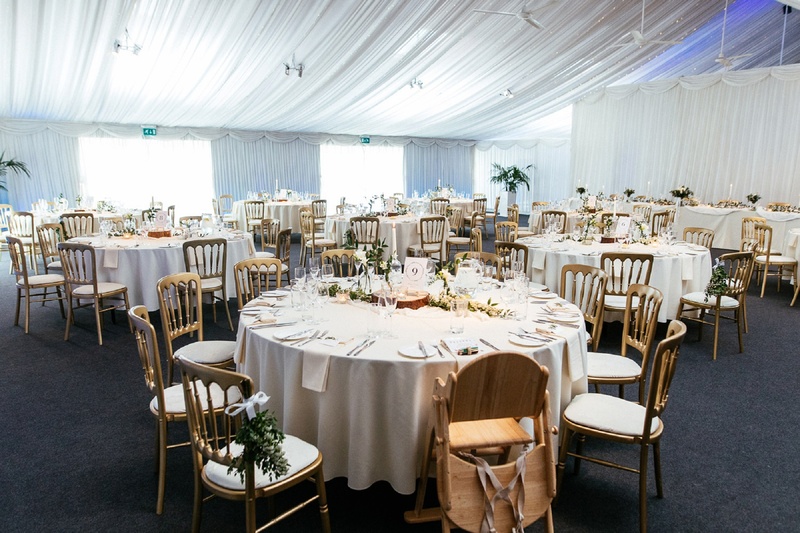 The outside space around the venue is just incredible, surrounded by fields, flowers and wildlife, with views of Cheshire, Staffordshire and Derbyshire. 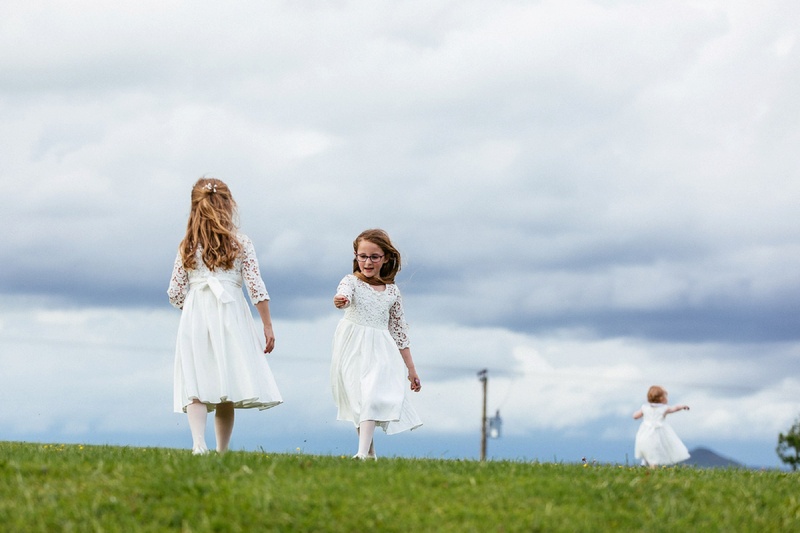 You feel like you are the only people around for miles. 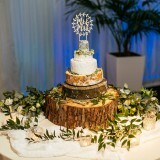 We didn’t really have a theme, I just knew that I wanted everything to be fluffy, floaty and smelling gorgeous! 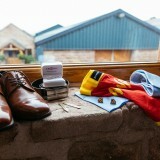 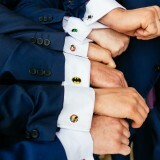 Although, the boys did have their own superhero theme with the cufflinks and socks that they wore! 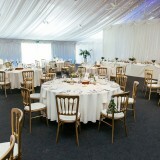 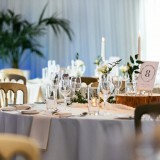 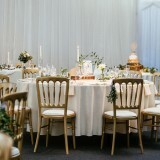 Our colour scheme was mainly white with navy blue to keep things classic and timeless. 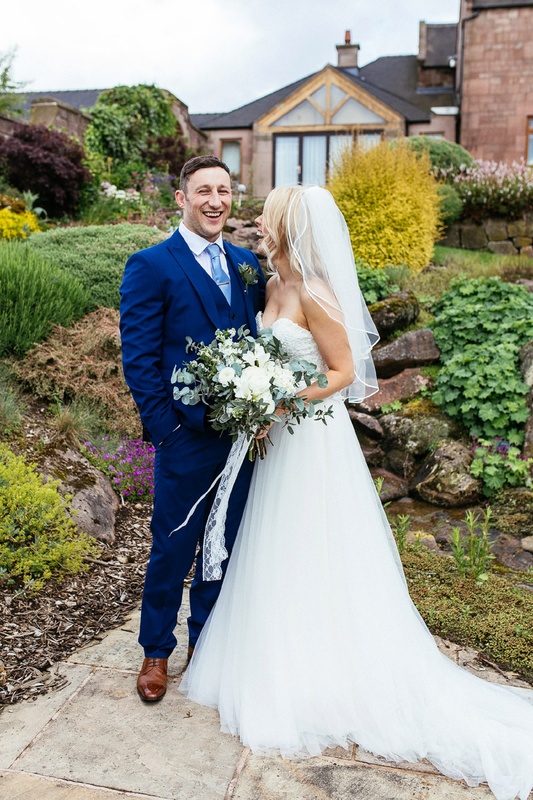 I chose a strapless ivory dress with a sweetheart neckline, lace bodice and tulle skirt by Wtoo by Watters from Penny Gray Bridal in Oxton, Wirral. 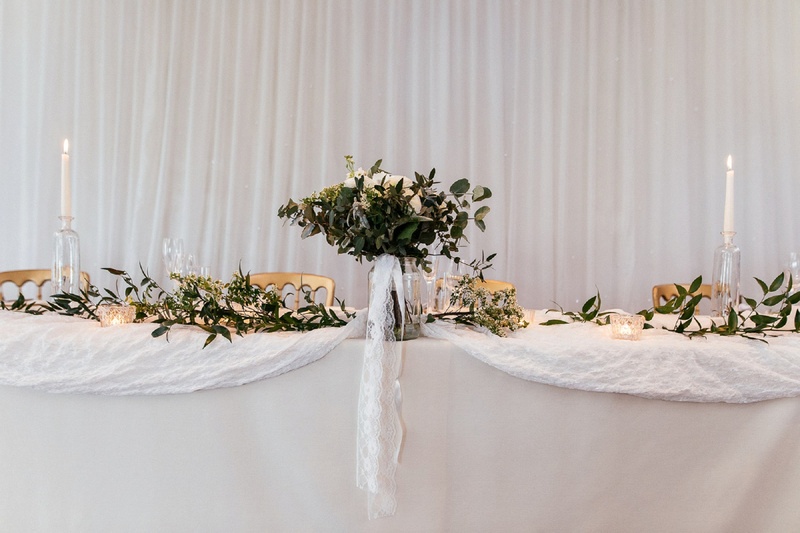 The detailing and fabrics were beautiful, so it was an easy decision to make. 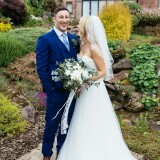 Vinny wore a blue French Connection suit with matching waistcoat from Moss Bros in Chester, along with a light blue tie and brown shoes. 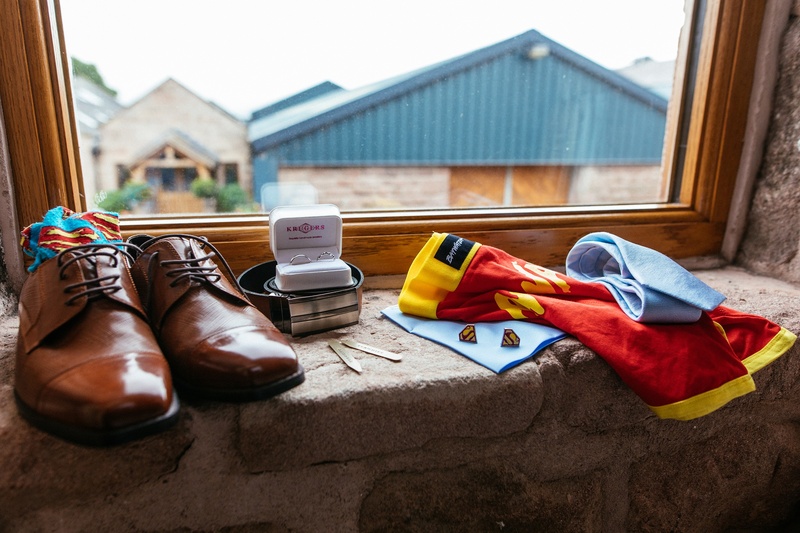 His superman socks and cufflinks made an appearance once or twice too! 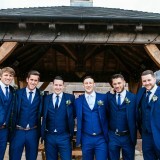 The boys all went for blue Ted Baker suits and waistcoats, also from Moss Bros, and my bridesmaids wore navy multi-way dresses. 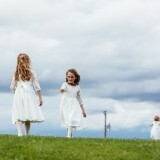 The flower girls looked so cute in their satin and lace ivory dresses from Monsoon. 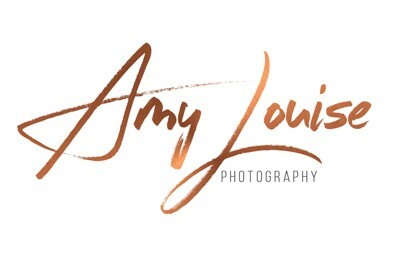 We booked Suzy and Alex of Suzy Wimbourne Photography, to capture our day – and they did so perfectly. I can’t recommend them enough – it literally felt like two of our friends were with us. 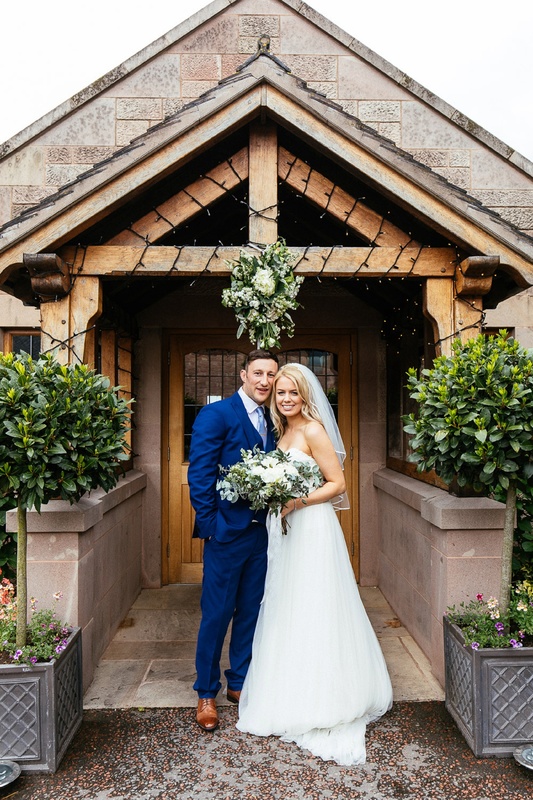 Their natural style, down to earth personalities and just the fact they’re a lovely talented couple made us all feel at ease as soon as they arrived on the morning of the wedding. 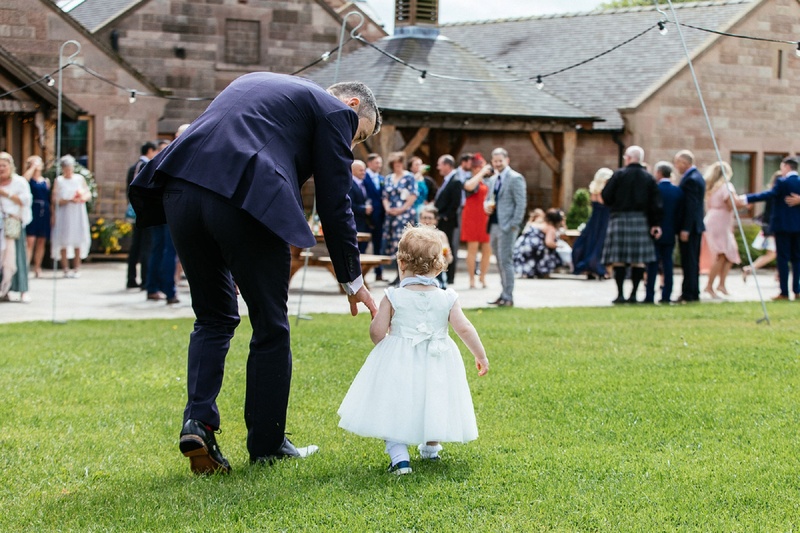 Suzy even helped calm my last-minute nerves before walking down the aisle and I know the boys had such a laugh; they loved Alex! 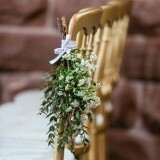 All of our flowers were provided by Angela and Jenna at Flourish Flowers in Oxton, Wirral. 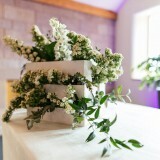 I went in to see Angela with my flower scrapbook and showed her my ideas – then she worked her magic. 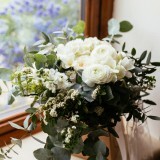 This is where my theme of fluffy, floaty and smelling gorgeous came to life. 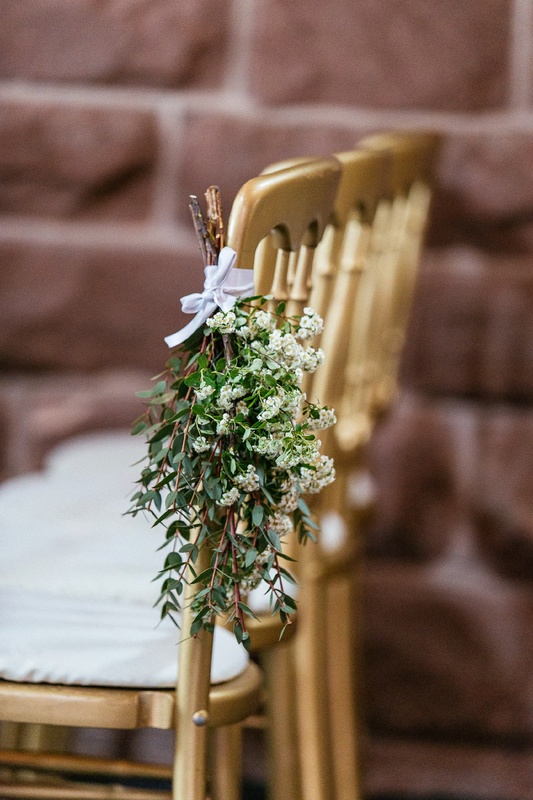 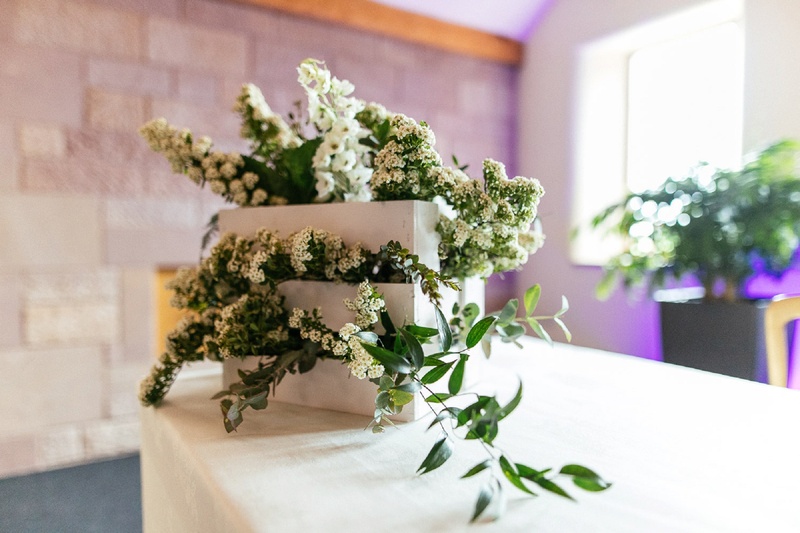 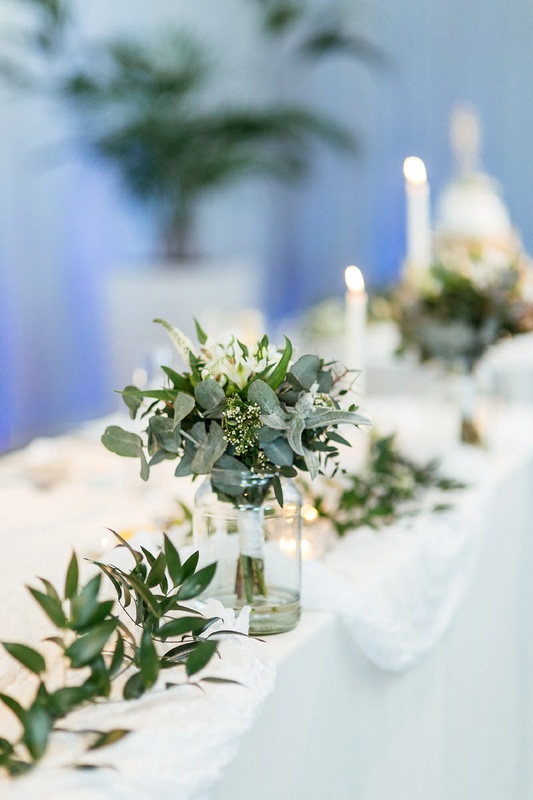 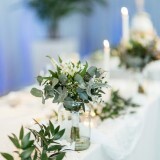 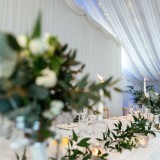 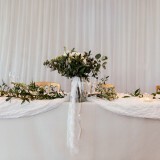 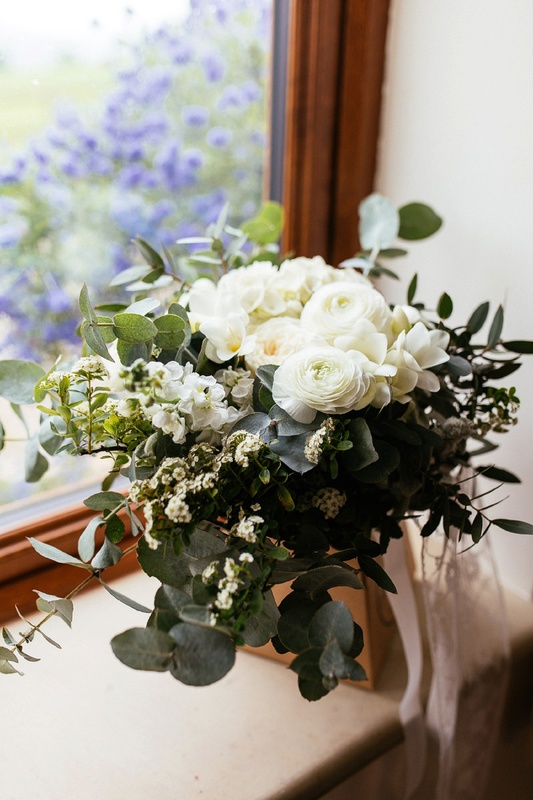 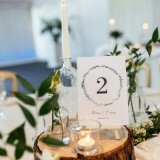 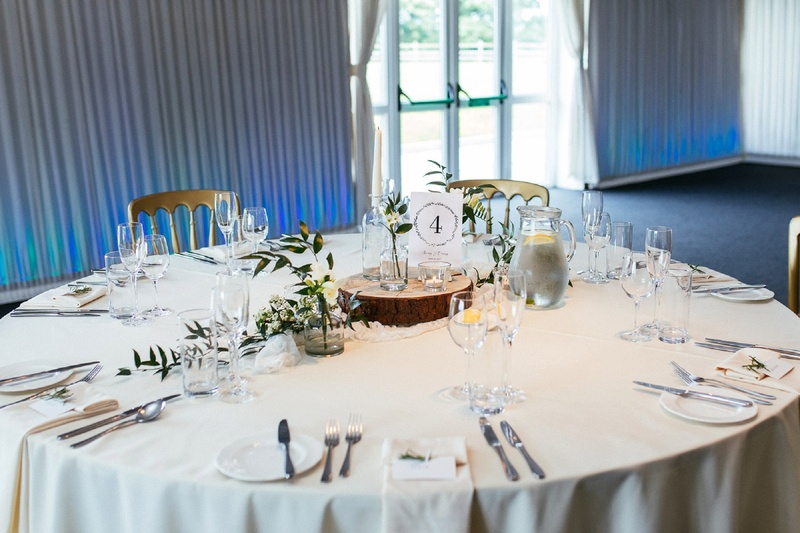 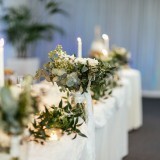 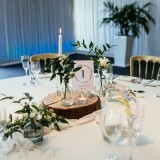 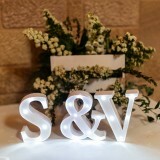 The girls used lots of greenery and white flowers with the scent of freesia and eucalyptus filling the venue! 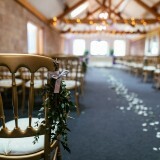 We decorated the tables with wood slices from a friend’s farm and draped lace runners across that my mum had made. 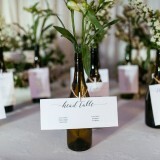 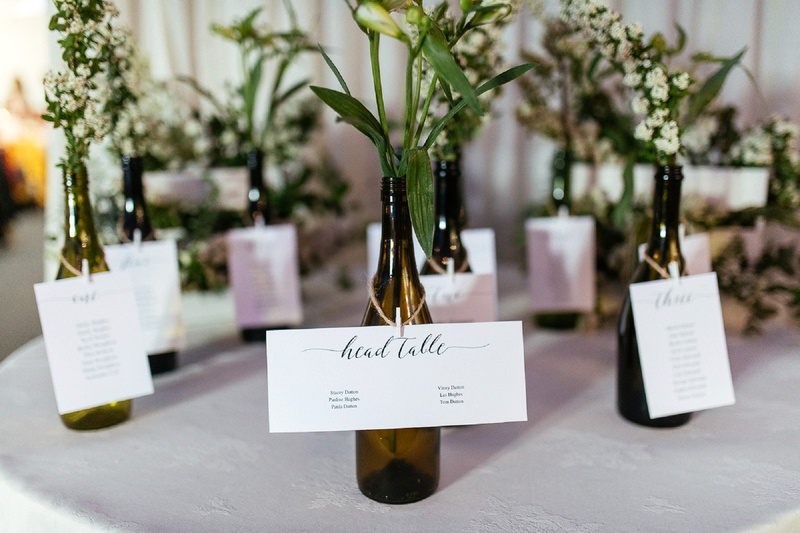 Angela and Jenna placed flowers in clear glass bottles and tea lights in cut-glass candleholders. 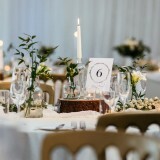 Tamaryn at Tamaryn’s Treasures transformed our evening reception room with candelabras, hanging crystals and sequin table runners. 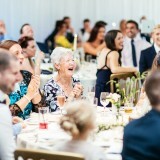 She set up the room and collected everything without us having to worry about a thing! 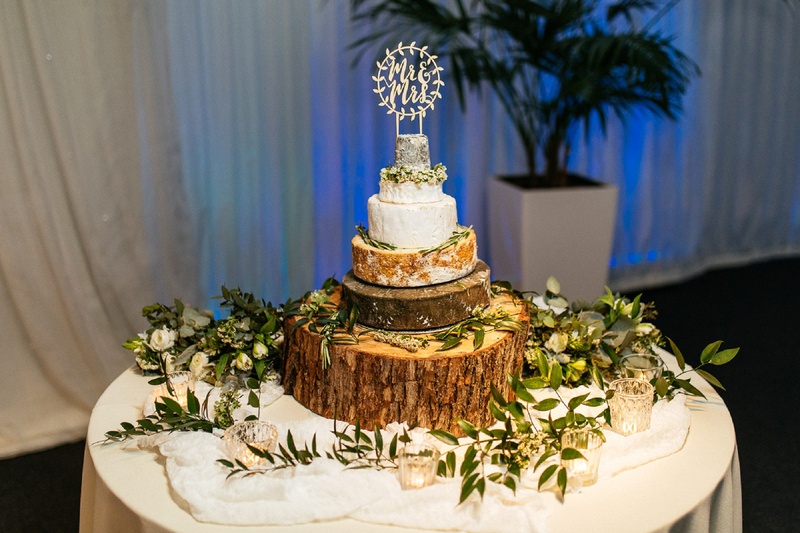 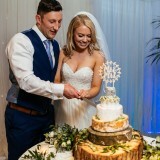 We chose a four-tier cake made of cheese from The West Country Cheese Co. Our caterer added freshly baked breads, biscuits, chutney and fruit to make up part of our evening food. 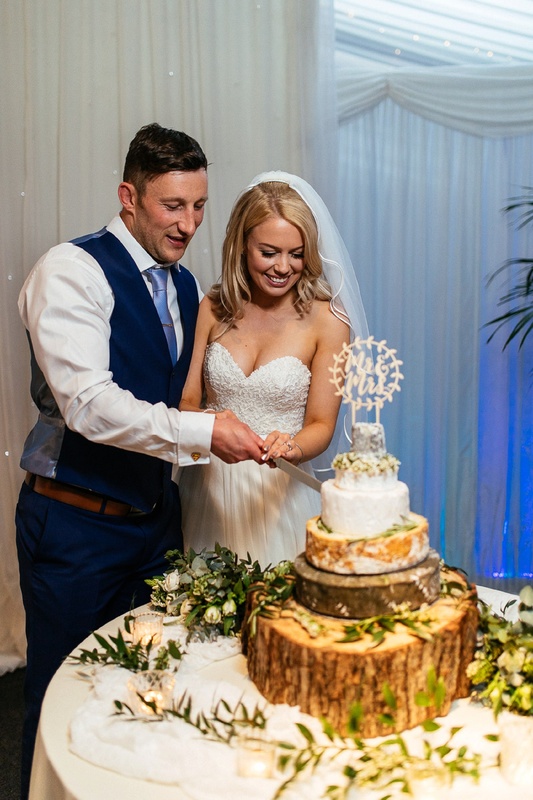 Who doesn’t love cheese and wine? 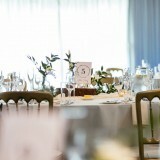 Our caterer, Vanilla in Allseasons, supplied our wedding breakfast and evening food. 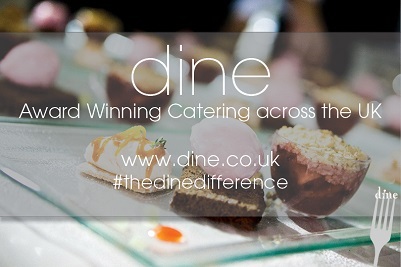 So many of our guests commented on how delicious the food was and the service was second to none! 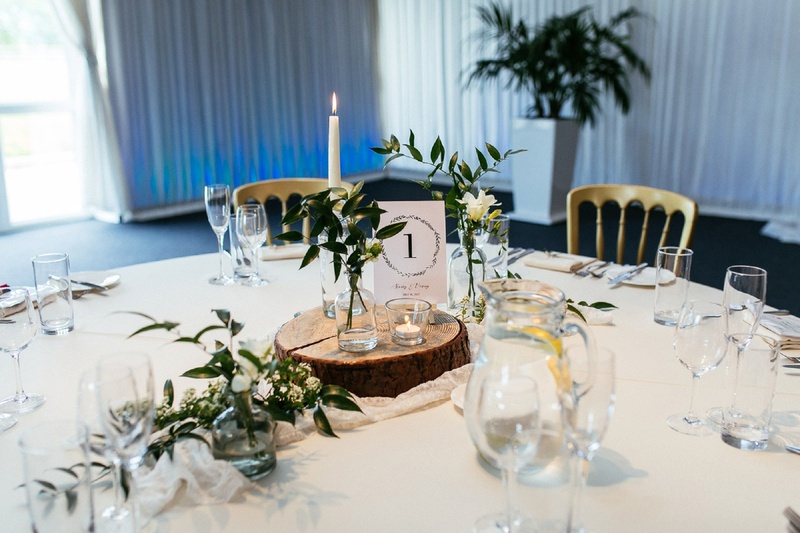 We wanted lots of fresh, vibrant flavours and Adam and his team did not disappoint. 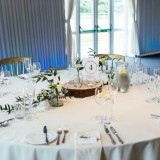 Our guests had a starter of bruschetta with tomatoes, followed by a choice of chicken with Mediterranean vegetables or salmon with fresh spring greens. 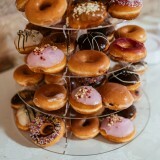 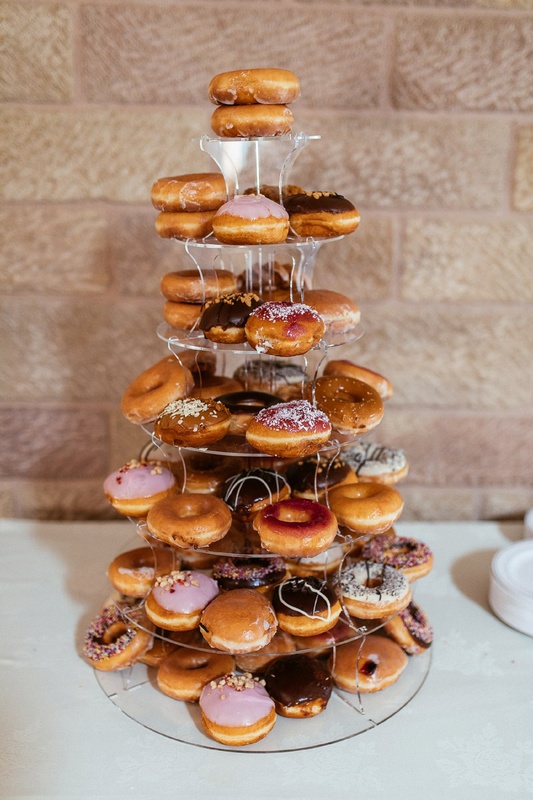 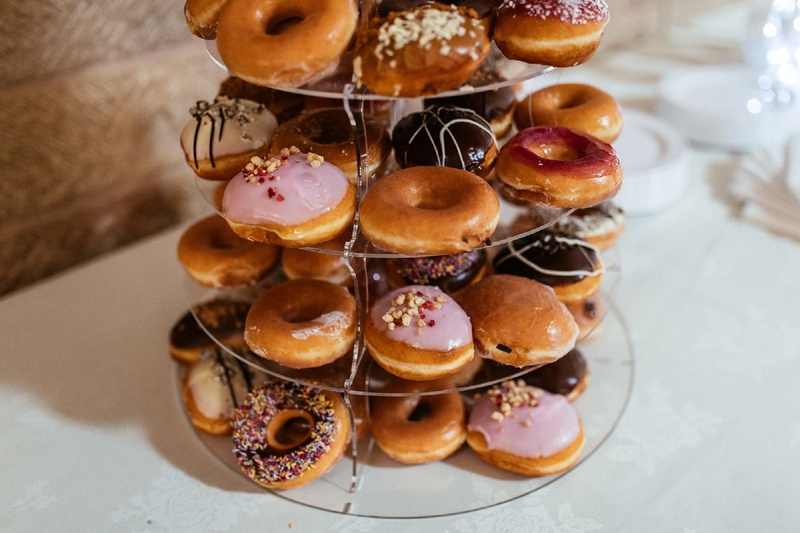 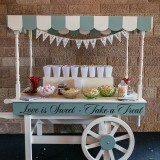 A coffee station and Krispy Kreme donut stand were set up, so our guests could help themselves. 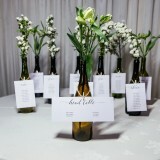 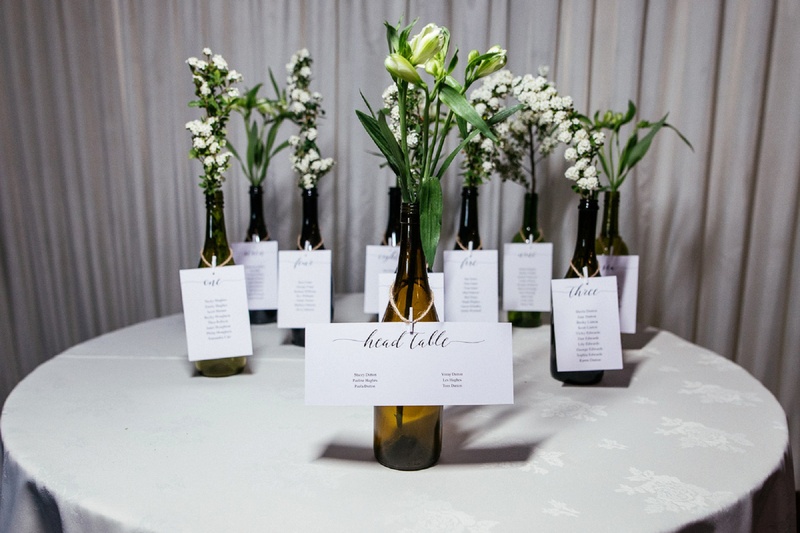 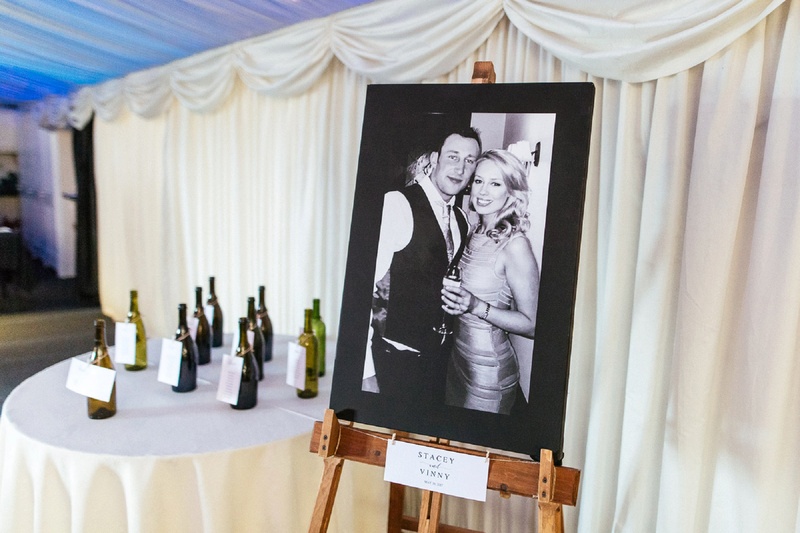 Our wedding breakfast was paired with a selection of white, red and sparkling wines provided by our venue. 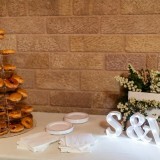 Burgers, hot dogs and salad were served to our evening guests along with our cake of cheese. 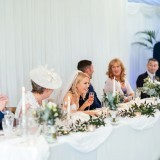 For our ceremony and wedding breakfast we had the lovely Liz of The Live Piano Experience playing some beautiful instrumentals of our favourite songs. 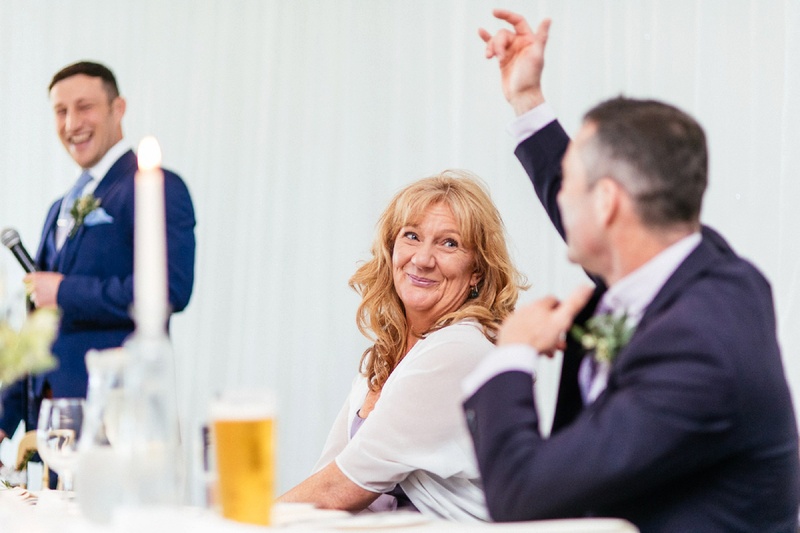 We first heard Liz play during a supplier evening at the farm – the music was stunning so we booked her the next day. 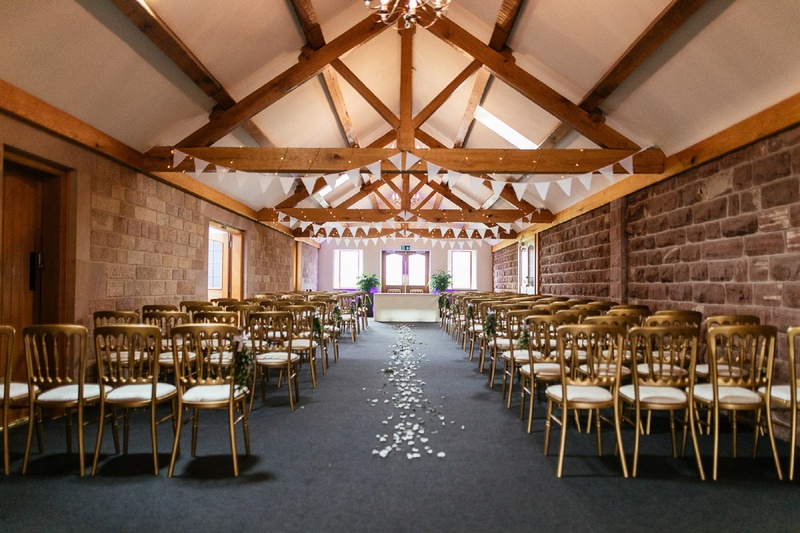 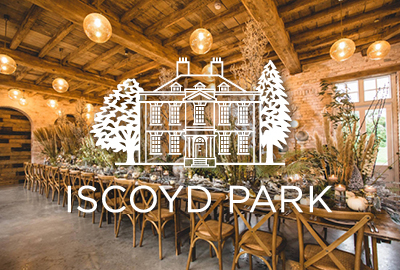 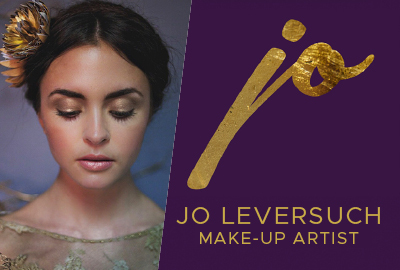 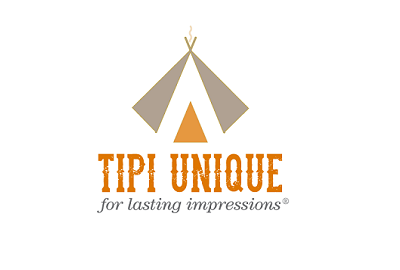 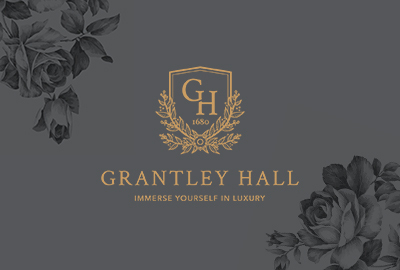 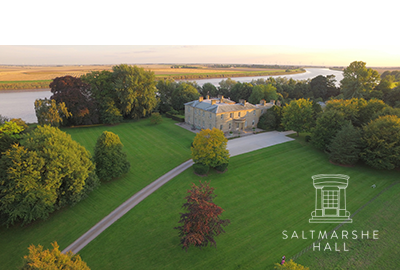 Speaking for us both, we would definitely recommend our venue to anyone looking for a naturally stunning venue that’s happy to let your ideas and imagination run free. 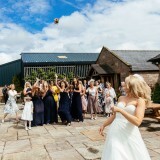 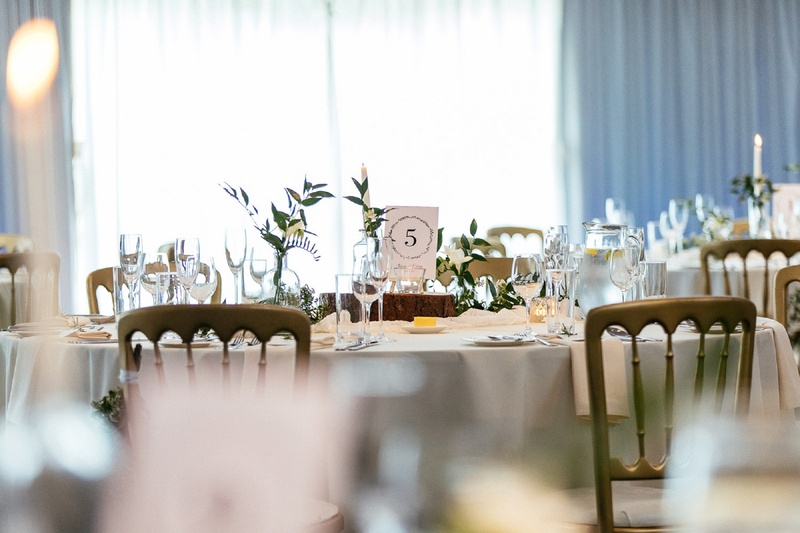 I think that planning a wedding can be quite daunting, but Heaton House Farm made it easy from the start. 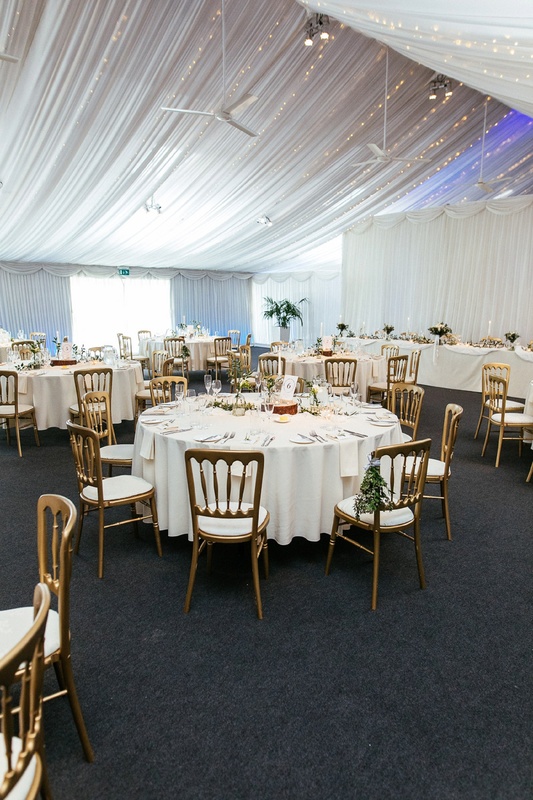 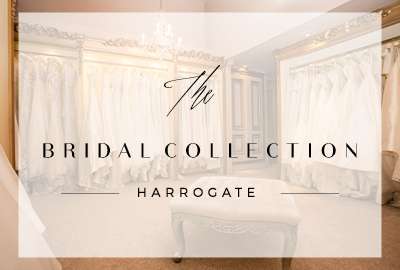 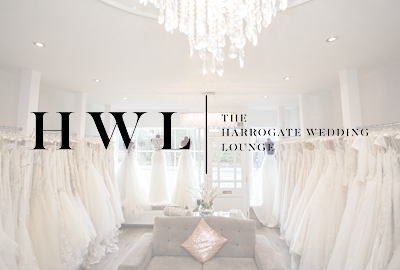 Lisa, our wedding coordinator, and all of the team are fantastic – so friendly, helpful and professional, nothing was too much trouble. 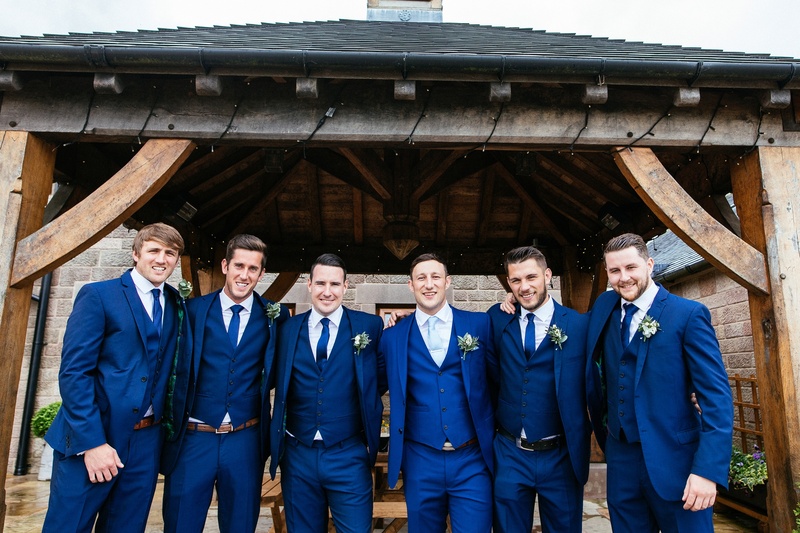 We can’t thank them enough for making our day run like clockwork! 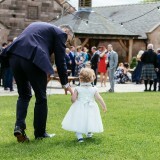 The drinks reception and wedding breakfast were definitely a highlight for us both. 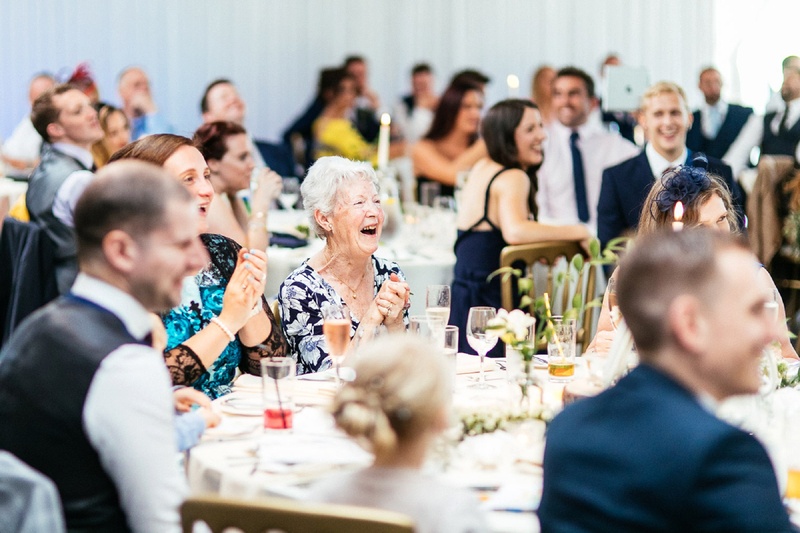 Being able to catch up with friends and family that had travelled far and wide to be there, and also seeing everyone enjoying themselves, was priceless. 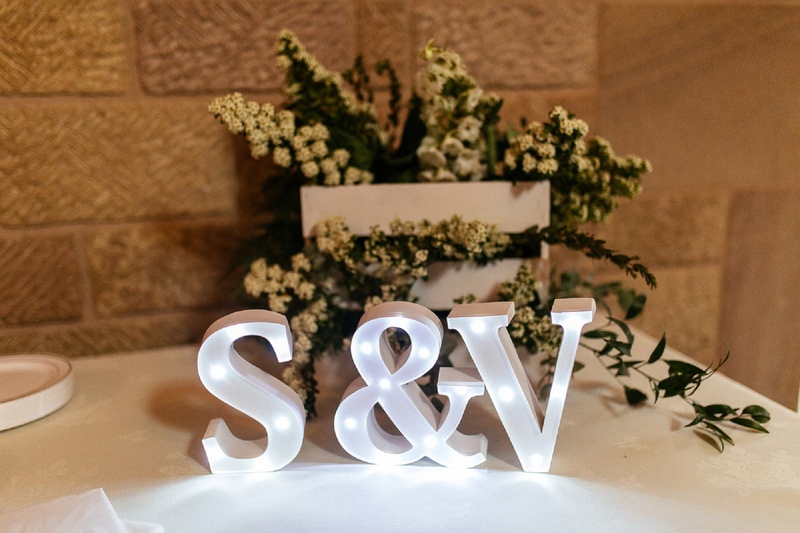 We went on a minimoon to Italy where we spent our days eating amazing food, drinking wine and sightseeing. 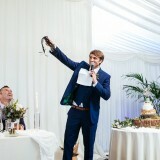 It’s just what you need to wind down after a wedding. 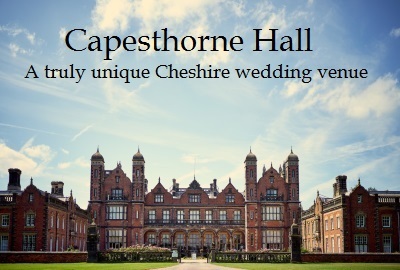 We’re saving our big honeymoon for next year once we’re settled in to our new home! 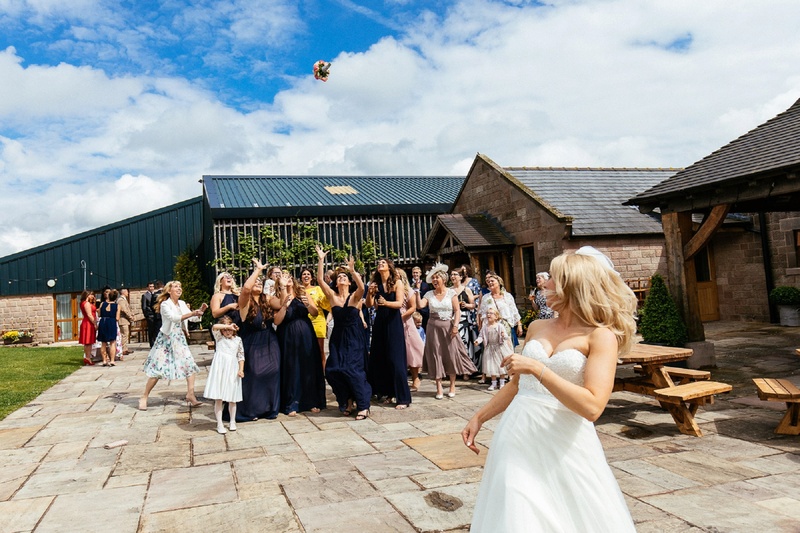 My top tip for other Brides Up North would be, don’t stress over the little things and try to sneak off for a few moments together to take everything in, as the day goes so quickly!